Video calling is coming very soon to WhatsApp? Back in December, we told you that WhatsApp was working on a way to allow subscribers to make video calls. Now, it appears that video calling is coming soon to WhatsApp. In fact, a limited number of users are said to have the capability right now to make video calls on select phones running the beta app. Besides screenshots of the video call UI, translation requests were made to those who translate the app to various languages. The phrases that the messaging app is seeking translation on? "Video call," and "Video call is unavailable at this time." According to the source of the rumor, WhatsApp is also working on a way for group invites to be sent using NFC tags and QR codes. Another feature supposedly on the way to users includes the ability to send voicemail to a contact who doesn't answer a voice call (iOS only), and a call back button is said to be in the works right now. 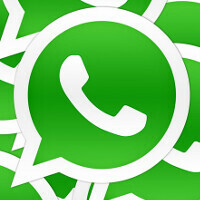 Also rumored to be coming to WhatsApp is zip file sharing support. WhatsApp has been beaten to the video call punch by BBM. Just recently, BBM added video call support to the iOS and Android versions of the messaging app in the U.S. and Canada. Voicemail is another feature being prepped. Image courtesy of Phone Radar. Alan could you and the phonearena team Talk about people advertising jobs in the comments section Thank you. This one time someone advertised bank hacking jobs with an email account in the comment Why? BBM beat WhatsApp to the punch long ago as far as video calling is concerned. They've had it since the first BB10 handset was launched a few years ago. Still, it's nice to see WhatsApp add competitive features. At least WhatsApp is encrypted & free. Can't say the same for BBM. Um, what? BBM has always been free and secure. And with BBM Protected, you enjoy an even greater level of encryption than WhatsApp. And BBM has more features. WhatsApp is still playing "catchup" in the features department. And all I need is group calling. They are really late to the game aren't they?